Aldo Zilli, one of Skeeter’s favourite Television chefs, opened doors to Zerruco by Zilli at Hotel Ashok this week. Skeeter was invited and she happily hopped, skipped and jumped for the pre-launch preview. It is one thing to see him on TV and another to have him cook for you. Skeeter is a lucky girl! Without further ado, lets gets cracking! Aldo, is a thorough gentleman, and a fine host. If he’s around Skeeter can bet, you will be treated like a royal. Skeeter turns princess?! Aldo noticed that the dining table was more than a couple of inches away from Skeeter and promptly made a correction. He noted Skeeter was the only vegetarian on table and the waiting staff were instructed very well. It often happens that Skeeter is served one non-vegetarian dish at some or the other meal she has. At Zerruco, she did not have to bother. Zilli has been serving a lot of Indians at Zilli Green and is well aware of the no-egg, no-fish, no-chicken clientele. Read Skeeter was well-fed. He has no qualms about serving his food to vegetarians. After all, he has authored Fresh & Green with over a 100 vegetarian recipes! 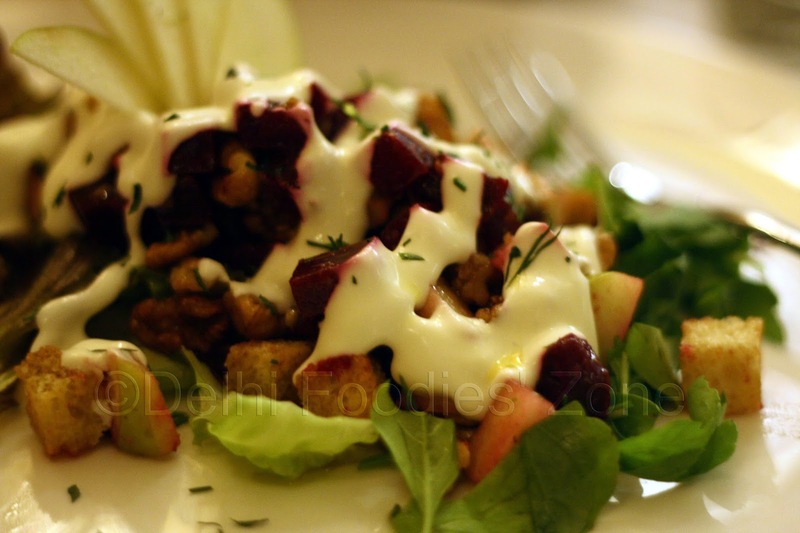 Most non-Indian chefs opening in India find it a challenge to serve food to vegetarians. For Zilli it was a smooth ride. Zilli revealed he does not believe in the concept of whole wheat pasta. He said, “it just does not taste the same”. And who would care? 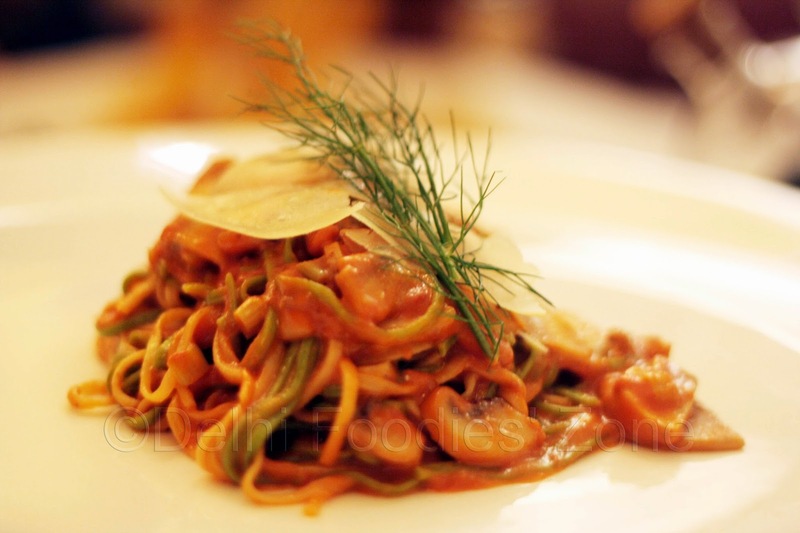 There are so many fresh vegetables tossed along with pasta that you do get your share of health food. 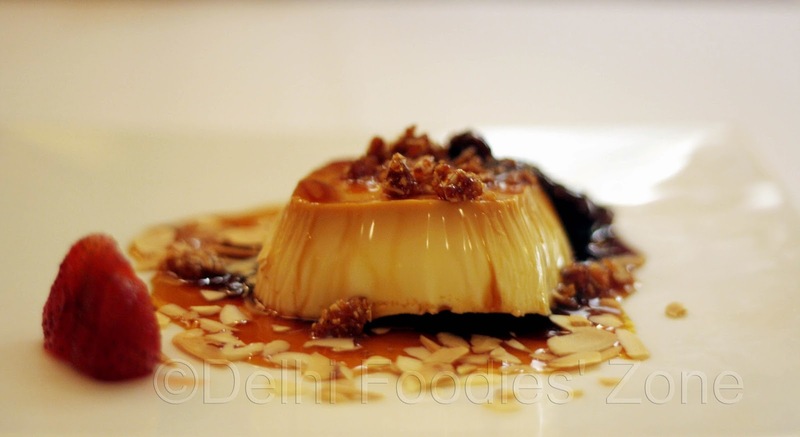 Unlike other international chefs foraying into new territory (India), Zilli has had all his fingers in curry thanks to his good friend and Michelin-starred chef Atul Kochhar who has fed Aldo, a lot of Indian food. When Manish Baheyti of of Haute Services Pvt. Ltd spoke to good friend Atul Kochhar when they were looking for a chef, it was Kochhar who recommended Aldo Zilli’s name. 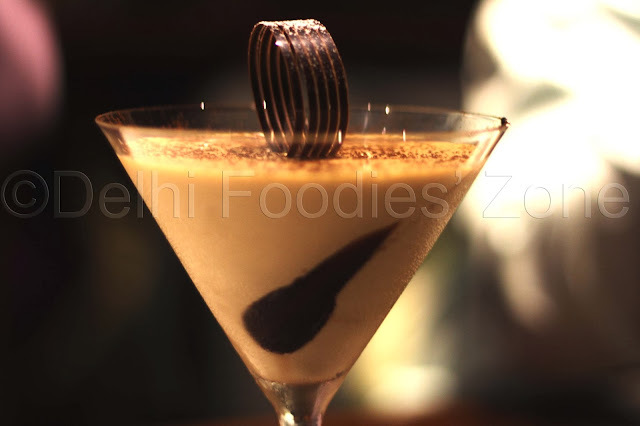 The rest, as they say, is for us Delhiites to savour at Zerruco by Zilli. 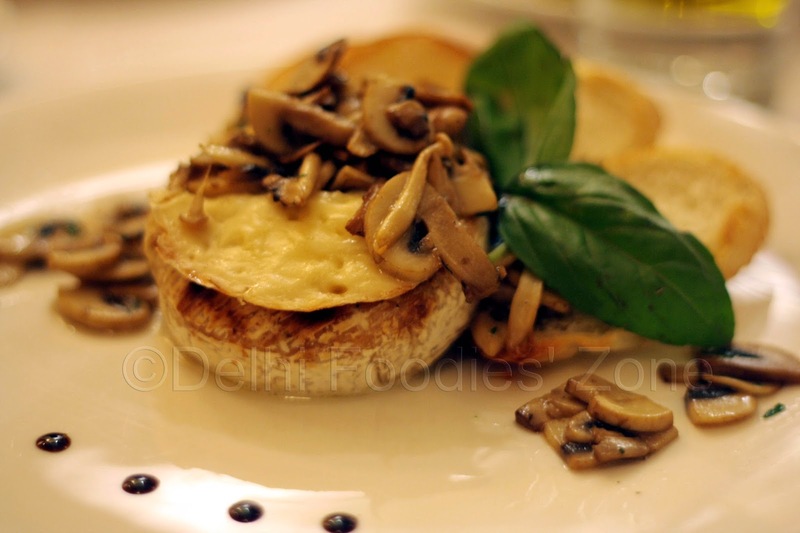 We started with warm flatbread served by Aldo Zilli himself! It was accompanied by a very fresh pesto and olive oil, balsamic on the side. Fresh ingredients, which are a Zilli trademark, ruled the table. Minestrone classico, the classic Minestrone soup, got the nod from all on the table with fresh vegetables, beans and baby pasta. It touched the soul. 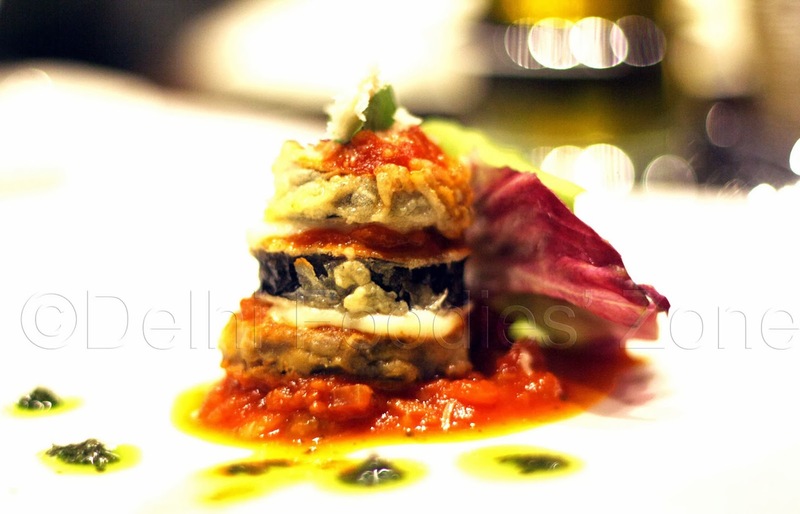 The Melanzane Alla Parmigiana or layers of fried aubergine with tomato sauce, fresh mozarella cheese and basil came next and set the mood for the evening. Fresh and hot tagliatelle pasta with Mediterranean vegetables and red pepper pesto came plated in a classic way and impressed Skeeter’s tastebuds. A salad with garden fresh lettuce, select olives, roasted bright yellow zucchini, a drizzle of olive oil and a sprinkle of parmesan was rustled up for Skeeter. And while the stomach was protesting, who can resist a pizza? Skeeter is glad she had it! The Pizza was extraordinary and Skeeter highly recommends it. Skeeter is definitely going back for some more! 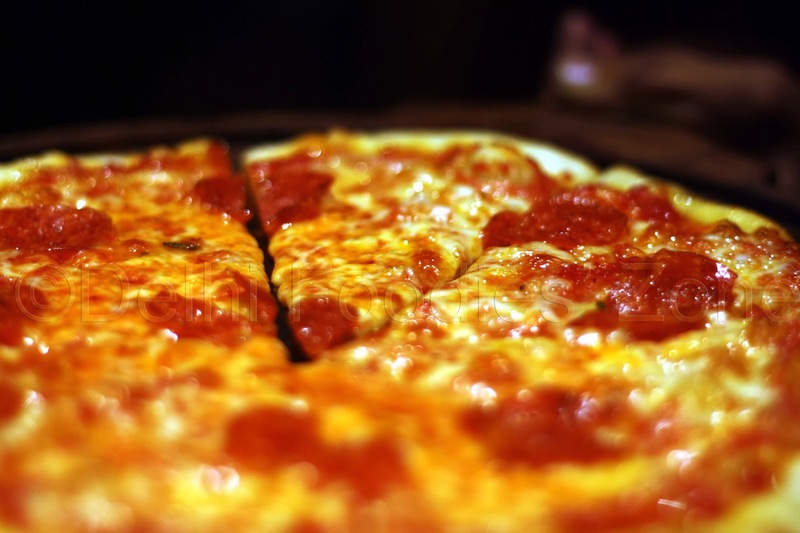 THE best Pizza in Delhi. The crust, the base sauce, the cheese, the temperature of the pizza while serving it, were all perfect! The Tiramisu was fab (though Skeeter prefers the sponge fingers dipped in rum for that spike) and these two (Pizza and a dessert) make or break an Italian meal. Happy to report that Zerruco by Zilli has nailed it! 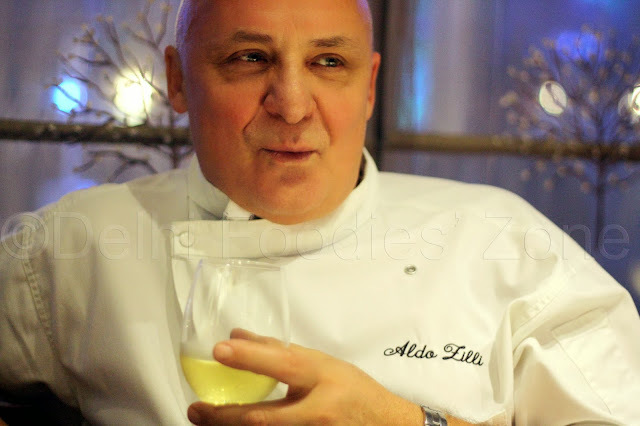 Aldo Zilli is an Italian from Abruzzo and has been living in the United Kingdom, where he rose to fame and is known for his Italian, vegetarian and seafood. Besides being famous for his food, he has authored a few cookbooks, hosts TV shows and is always striving for providing people around him something new and better. You can read more about him here.